Chinese Vivo has launched the new unique concept smartphone Vivo APEX 2019 in China in an event. The Apex 2019 comes with unique features such as no buttons or ports on the body of the device as it replaces physical buttons with pressure-sensitive power and volume buttons and a magnetic port that connects to the bottom part of the back cover for charging and data transfer. Vivo is calling this technology Touch Sense and it's a mix of capacitive touch and pressure sensing. It has the new full-screen sound technology that uses the phone’s screen as a speaker and the earpiece for calls. It comes with support for 5G via eSIM and comes with full-screen fingerprint technology with which its users can unlock the device with their finger by touching anywhere in the display and also supports two-finger unlocking. It comes with White, Gray and Black colour options. 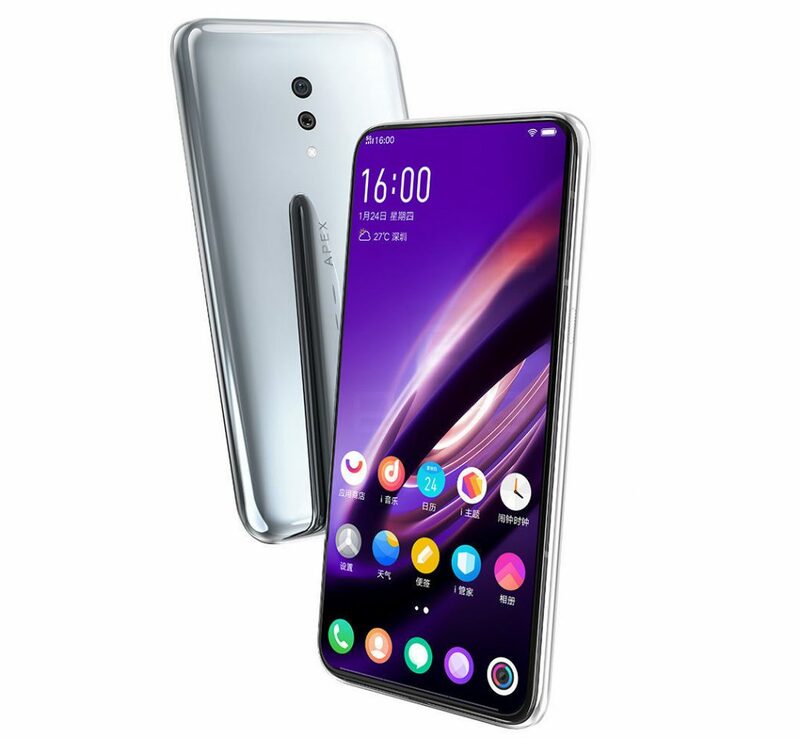 "With the goal of enhanced usability and simplicity at the core, Apex 2019 offers consumers a glimpse into the future of smartphone design and development. The Super Unibody design and Full-Display Fingerprint Scanning technology, among several other breakthrough features, make Apex 2019 a truly exceptional smartphone that demonstrates Vivo's continuous exploration and the pursuit of exceptional innovation for consumers," says Mr Spark Ni, Senior Vice President of Vivo at the launch. The Apex 2019 features slim bezels on all sides of the display with a slight chin at the bottom and has a 'Super Unibody' curved glass design. It features a 6.39-inch AMOLED display and is powered by the Snapdragon 855 SoC. It comes with up to 12GB of RAM and supports 5G via eSIM. It uses a liquid-cooled plat and comes with 256GB or 512GB of internal storage. It features a dual rear camera with a 12-megapixel sensor along with a secondary 13-megapixel sensor, but it lacks a front camera. It uses a new Duplex PCB Design, which increases the available space by 20 percent to minimise the overall stacking space. The company has showcased it as a concept in the event, so we can expect the company to launch it as the next generation Nex smartphone in the coming days likely at the MWC event next month in Barcelona. Stay tuned.